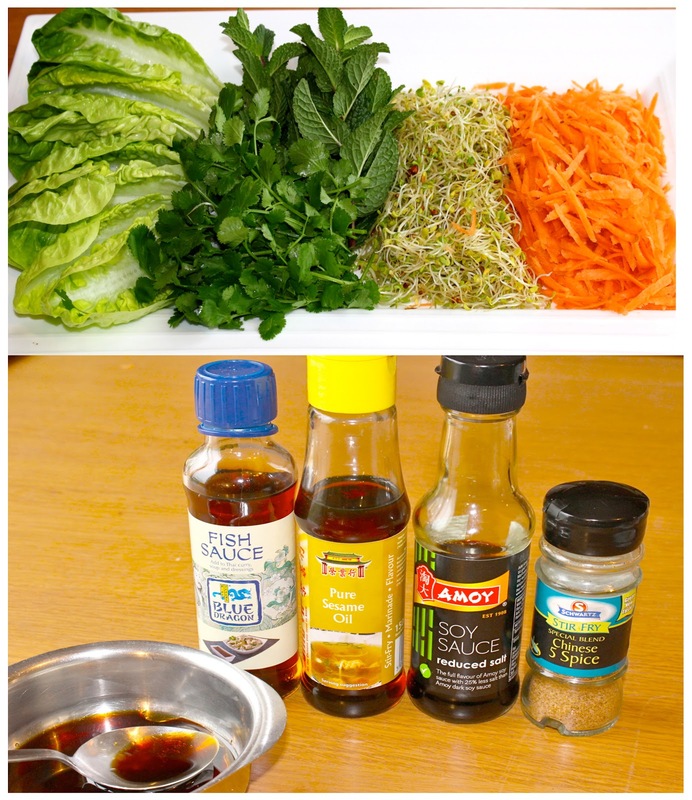 Cooking with Vân : Vietnamese lettuce wraps. Vietnamese dishes are well known for using a lot of fresh herbs, low carb and flavorful. I cannot find that many type of fresh herbs in Ireland like in Vietnam but there are enough to work around it. This recipe has great balance of savory and refreshing flavor. Easy to make and it makes you feel light, satisfied if you want a low carb meal. It also could be served with rice or noodles. 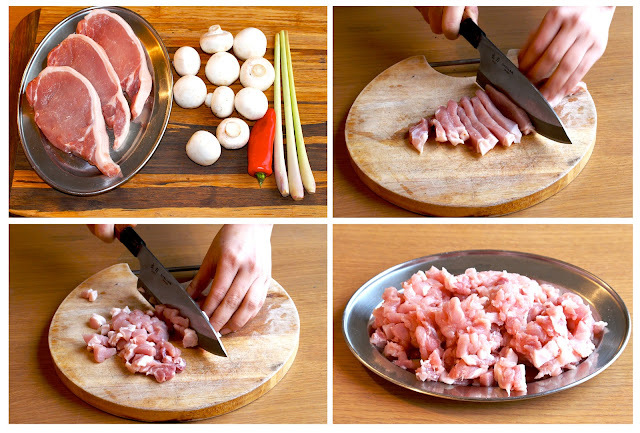 400 gr of pork chop( beef or chicken). 3 lemongrass stalks ( you also can add in ginger). Shredded carrot ( use a cheese grater, or diced celery ). Sprout, mints, coriander, lettuce and any kind of light herbs you like. 2 spoons ( normal one) fish sauce. 1 tea spoon sesame oil. Chop the white part of the lemongrass. 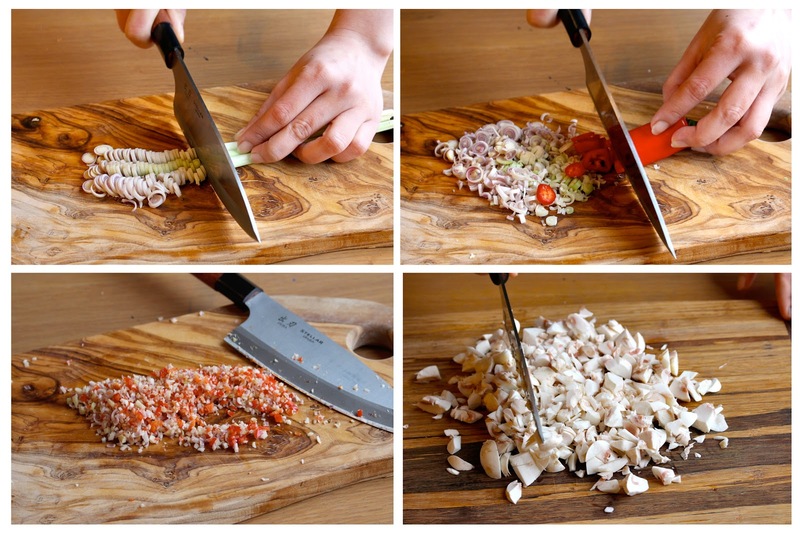 Chop half of the chili and mince them finely. ( use the whole one if you like it hot). Add 3 spoons cooking oil to a hot frying pan. Fry the lemongrass and chili until brown. 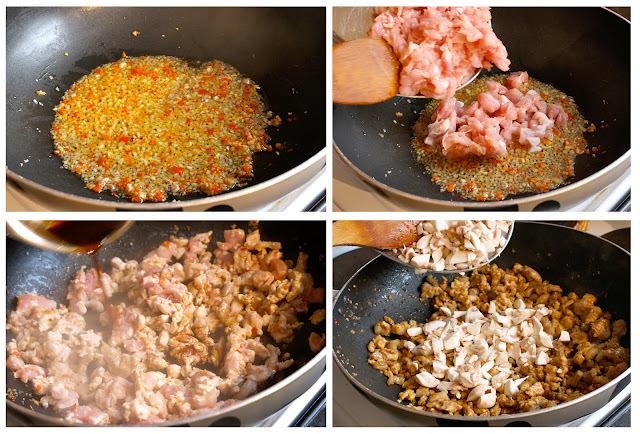 Add in the chopped pork. Stir well then add in the seasoning bowl with 3 spoons of water. Simmer for 10 minutes on medium heat and toss well until the pork becomes slightly dried. Add in the chopped mushroom and fry for another 2 minutes. Once the mushroom cooked through it's ready to serve.